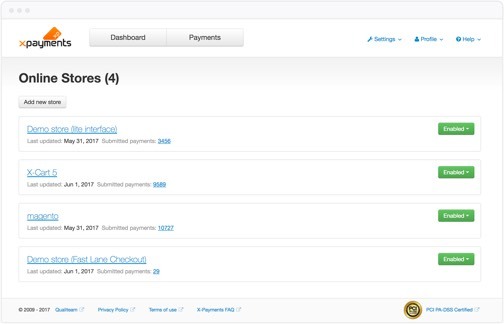 Yes, you can process and store credit cards right on your website, accept recurring payments and reorders. X-Payments will take the PCI DSS burden off your shoulders. Give your customers — and yourself — peace of mind with this payment processing module that guarantees compliance with PCI security mandates, significantly reduces the risk of data breaches and ensure you won't be hit with a fine of up to $500,000 for non-compliance. 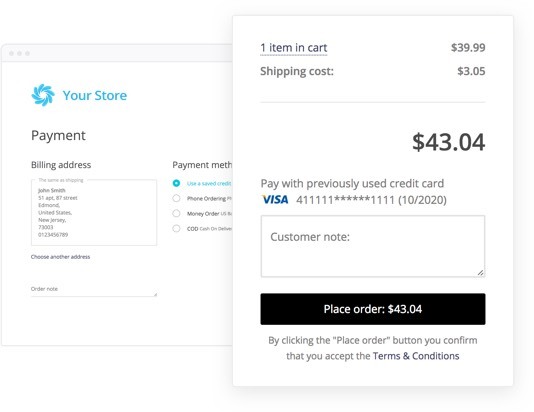 Use X-Payments with your X-Cart 4, X-Cart 5 or Magento shopping cart to safely and conveniently store your customers'credit card information for processingof new orders, reorders and recurring payments. When processing online credit card payments, X-Payments works as an intermediary between a shopping cart application on one side and payment gateways and 3D-Secure systems on the other side, implementing PCI compliant secure layer that works with credit card data and keeps your applications and systems out of the PCI scope. Since 2006, the PCI Security Standards Council has maintained Payment Card Industry standards. 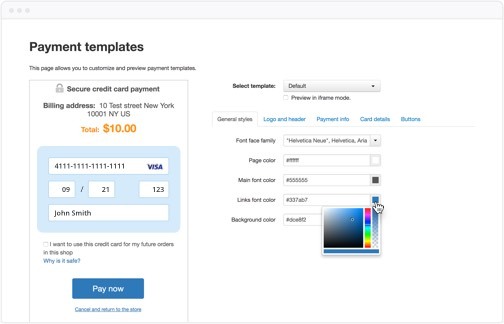 They require big changes from online stores that accept payments online. X‑Cart Payments is a PCI Level 1 certified service for PCI compliant credit card processing by online merchants. It undertakes all your efforts related to the payments security in your store. Your customers can save their credit card information for fast and convenient checkout on future purchases. Great for Phone Orders Too! If a customer has a saved credit card in their account, you can easily charge them for any order they choose to place by phone. Charging the difference after adding new products to an order is not a trouble as well. 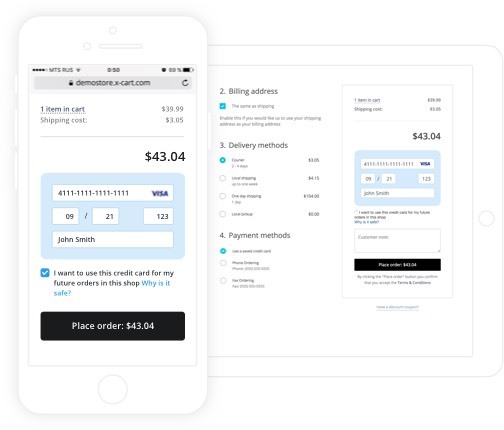 Recurring charges are a snap with X-Cart Payments. 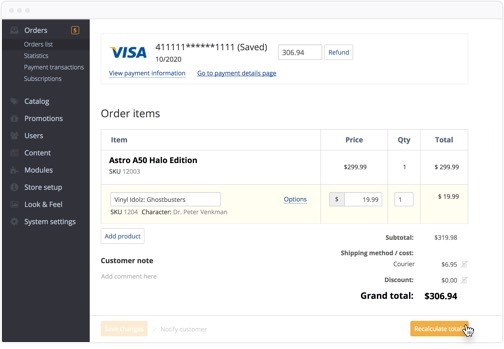 Retain total control over the checkout process and avoid risky redirects by incorporating an iFrame credit card form in your checkout window. 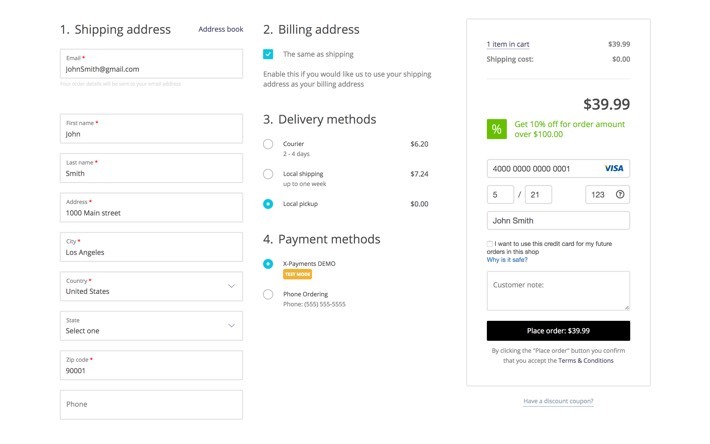 With credit card form embedded right into your store's checkout page, your customers will not have to leave your store's site to pay for their order, which makes for a more streamlined customer experience. 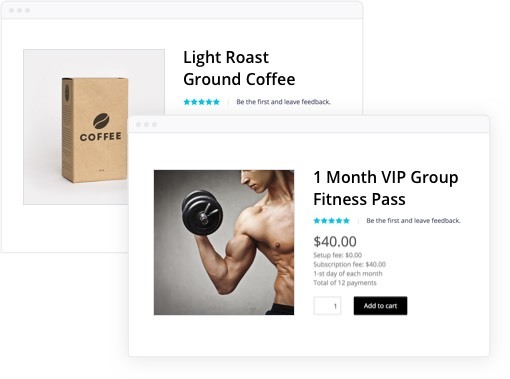 As research shows, this may reduce the potential for shopping cart abandonment and increase your site's conversion rates. 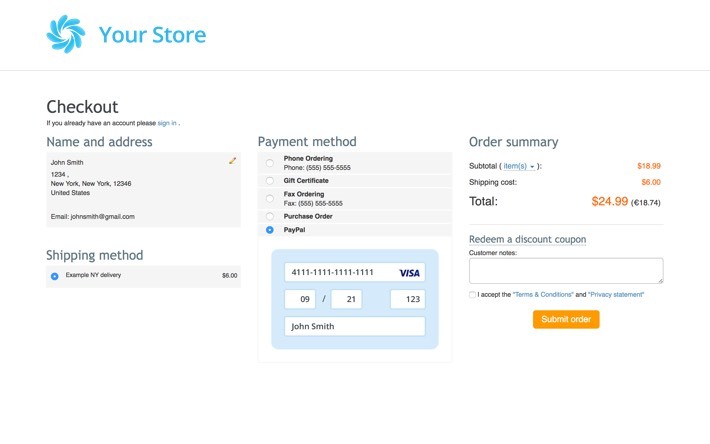 X-Cart Payments works seamlessly on any mobile device as well as traditional devices. 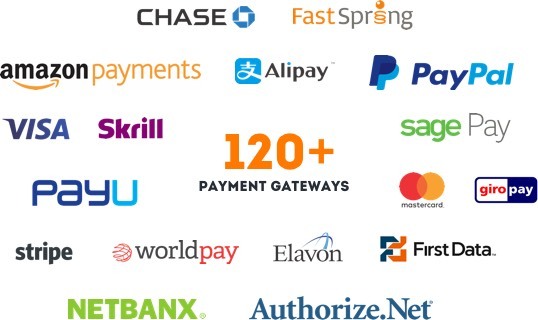 X-Cart Payments supports virtually all major payment gateways (see complete list). 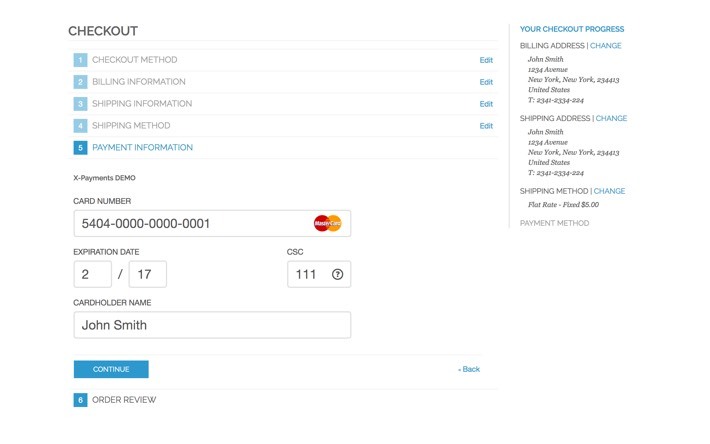 A customizable payment form page, configurable permissions for staff users and full transaction control (Auth/Capture/Sale/Void/Refund/Info) allow you to tailor X‑Cart Payments to meet your specific needs. 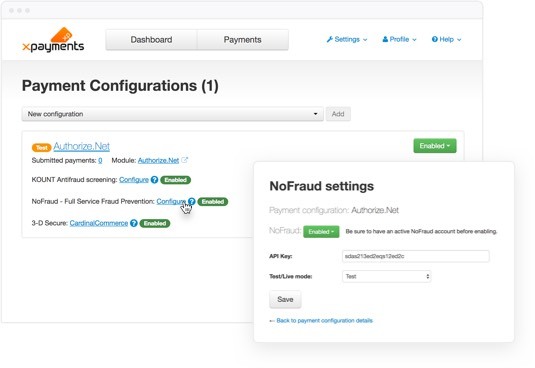 Screen all your transactions using Signifyd, NoFraud, Kount or X-Cart AntiFraud to catch online payment fraud. Add even more protection with 3D Secure payer authentication. 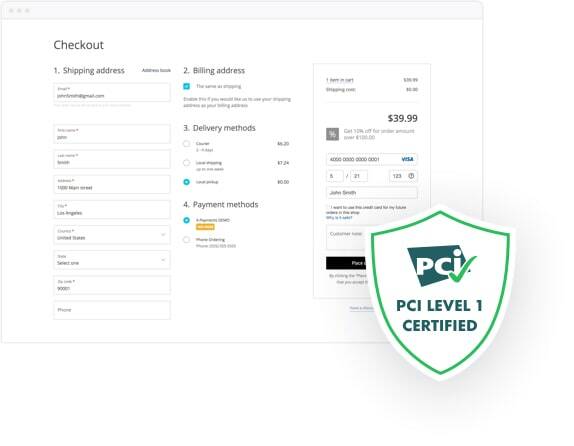 A hosted plan combining X‑Cart Payments PCI Level 1 certified service with PCI DSS compliant hosting in one package for maximum security and compliance. The Enterprise license with full source code. This option allows you to install and host X‑Cart Payments on your own dedicated server.